ShortStack’s publishing process is straightforward and intuitive. Once you’ve finished your campaign, all you have to do is hit “Publish Campaign” and your ShortStack-generated unique URL will be live. If you’re an experienced ShortStack user, you’ll notice we’ve streamlined the publishing process. If you’re a new user, you’ll see is how easy it is. Once your ShortStack campaign has been published, you can start promoting it. 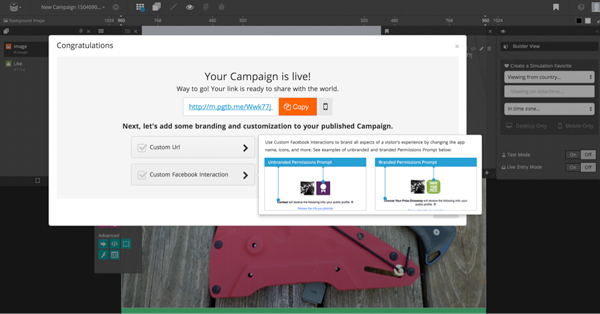 You can also choose to publish your campaign to Facebook, or to create a custom URL. Once your campaign is finished, click the Publish Campaign button. Congratulations! Your Campaign is live! A green check will appear next to each option you choose to activate. Free, Starter and Business plan subscribers will use shortstack.com as the domain for their campaign URL; Agency, Brand or Enterprise plan subscribers can use white label domains which include pgtb.me, wnthis.com, appsrvr.io and ourcontest.io. Business, Agency, Brand and Enterprise subscribers can also customize their subdomain. Including your company name in your Campaign URL makes it look more professional than a default or irrelevant URL does. The Custom Share Image option allows you to choose the image that will be used when your campaign is shared. If you already set this up when building your campaign, you can skip this option. When people see your Campaign, they’ll see the image you selected to accompany it rather than see a generic default image. Fans and followers will have no doubt about whose contest they’re sharing or entering. The Custom Facebook Interaction option allows you to configure the details of your Facebook app. Under the Custom Facebook Interaction feature, you have the option to Quick Publish or Custom Publish your Facebook app. 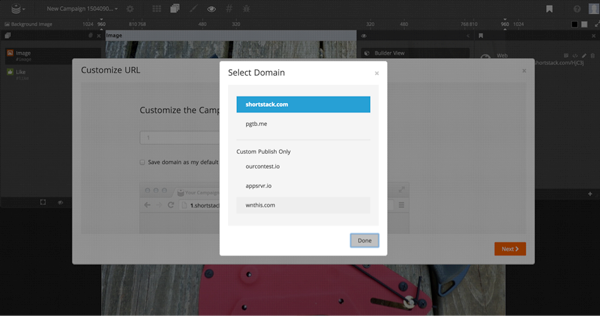 When you Quick Publish, you get ShortStack’s default settings and icons. Custom Publishing allows you to fully customize your app details. It brands your Facebook app by featuring the custom app icon that’s relevant to your brand and your Campaign. It gives you more control over your publishing process and details. The Facebook Publish option allows you to publish your ShortStack campaign as an app to your Facebook Page. To make it easy for your Facebook fans to share the Campaign with their Facebook friends. The more places you publish, the wider your reach. This includes the option to ask people to Like your Page. Publishing your app to Facebook is an easy way to target only your Facebook followers if you’re looking to run an exclusive giveaway. 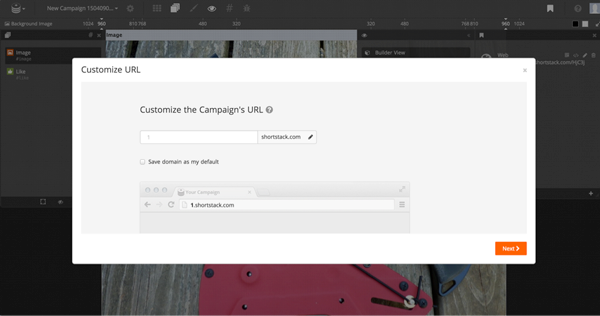 Ready to see ShortStack’s one-click publish process in action for yourself? Login to your ShortStack.com account and start building!